Description Hand coloured. Size 27cm x 26cm (11” x 10”). 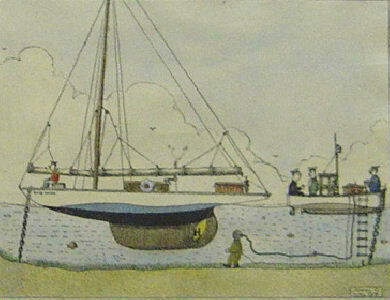 Diver sent to examine a yacht. Man in boat. "I've always suspected old Perkins of using a propeller, and now I mean to find out for sure."